Over London-By Rail', 1872. 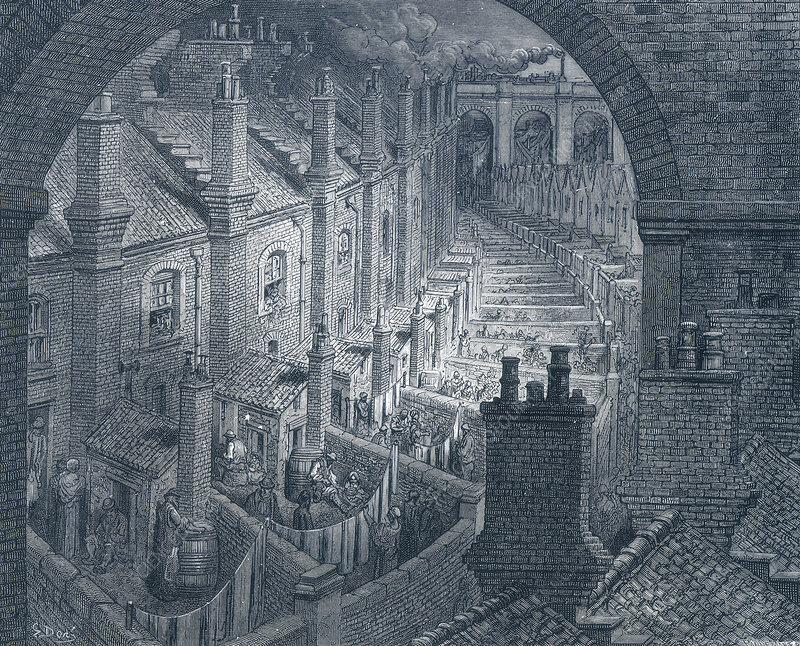 Showing men and women in the back yards of tenements in the East End of London, with a steam locomotive passing over a bridge in the background. Taken from London: A Pilgrimage by Blanchard Jerrold and Gustave Dore. A Pilgrimage was a comprehensive portrait of London, but although the book was a commercial success many of the critics disliked it. Several were upset that Jerrold and Dore had concentrated on the poverty that existed in London. Artist: Adolphe Francois Pannemaker.